There is nothing quite like the Oscars in the cinephile community, or even the public consciousness. True, the viewing audience has declined steadily over the past few years, and the small but significant foothold of movies as entertainment has waned more and more in the light of prestige and not-so-prestige television, but the Academy Awards remain a sort of galvanizing force for the film community. To invoke an often touted if shallow comparison, they are the Super Bowl of film, a chance to celebrate the best that the world of cinema has to offer. Of course, the Oscars rarely if ever feature the best of even Hollywood film, let alone American or world cinema. However, there is always value in seeing what Hollywood chooses to reward and what it chooses (on purpose or accidentally) to ignore. Two of my favorite films of the past year, Kenneth Lonergan’s Manchester by the Sea and Park Chan-wook’s The Handmaiden, happen to typify these two extremes in strange and fairly wonderful ways. 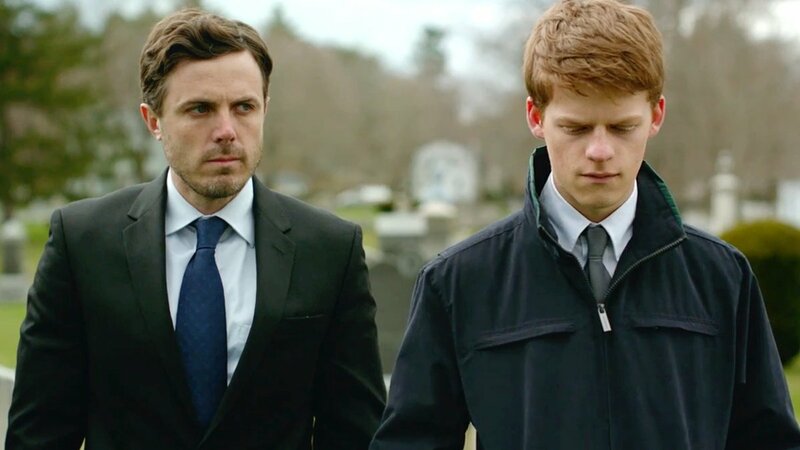 The first of these movies, Manchester by the Sea, manages appear from the most superficial vantage point to be “Oscar bait”, that most misused yet useful term. All the while, its incredible insights into the nature of grief and existence lie just underneath the surface, yielding only more and more as the viewer plunges deeper and deeper into this world of hurting men and women in New England. These two contrasting perceptions account for a great deal of its high degree of acclaim in critical circles (it placed #2 in the Village Voice and Indiewire polls and #7 in the Film Comment poll) but only some of its Oscar success. In a sense, every nomination, save for Kenneth Lonergan’s well-deserved but incredibly understated direction, both makes and doesn’t make sense. Manchester by the Sea works equally in broad and almost imperceptible gestures, weaving in and out of a standard framework in order to capture as much of Lee’s (Casey Affleck, in an absolutely titanic performance) continuous struggle to thrive in a world shattered by tragedy. It is hilarious, unbearably sad, melancholic, and exuberant, often at the same time, but above all it never registers as less than profoundly truthful. Manchester by the Sea, as may be inferred, deserves every one of its six nominations and perhaps even more (certainly for editing, score). If it does win for Best Actor and Best Original Screenplay, as it is still anticipated to do (though potential spoilers are creeping up), it will be a rare example of the Academy getting something right; it is a consensus choice, but nevertheless it will be the correct one. On the opposite end of the spectrum is The Handmaiden. Thus far, no Korean film has ever gotten a nomination in any category at the Oscars, nor has a Korean film been even named to the Foreign Language Film shortlist since it was instituted in 2006. Part of this is due to the vagaries of the process for nominating films for the Foreign Language category, as each country may only select one film. South Korea, for its part, has seen fit to alternate between various heavy-hitter auteurs like Bong Joon-ho, Kim Ki-duk, and Lee Chang-dong and less well-known films, though it should be noted that two of the nation’s best directors, Hong Sang-soo and Park, have never been submitted. (For the record, this year’s submission was the fairly well-recieved The Age of Shadows by Kim Jee-woon.) But of course, this does little to account for the lack of the “important” and/or technical nominations, both of which The Handmaiden more than deserves. Perhaps one of the most tastefully outré and maximalist films of the year, The Handmaiden fashions itself as equal parts romance and con. The film follows a con artist masquerading as a handmaiden as she attempts to convince an heiress to marry her handler (who himself is pretending to be a count) so that they can steal her considerable fortune, even while she is falling in love with the heiress. The film only gets more and more delightfully perverse as it goes along, but it never sacrifices an unexpectedly real and strong core of passionate love. 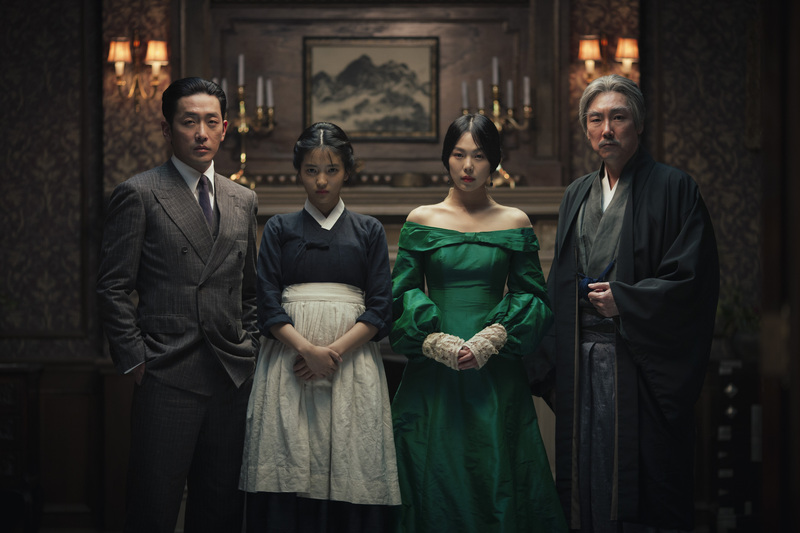 Divided into three parts, The Handmaiden shifts perspectives, jumps in time, and deploys revelations at exactly the right moments, but perhaps the most radical segment (certainly for American viewers) is the frequent jump between Korean and Japanese dialogue (the film takes place during the Japanese occupation of Korea pre-WWII). Korean dialogue is in white subtitles and Japanese is in yellow, and there is much to glean from the veritable code-switching that occurs, and sometimes both are used in the same sentence. And even putting aside all of that, The Handmaiden is positively ravishing to look at and listen to; for my money it has the best production design, score, and cinematography of the year, and the fact that it was completely overlooked is, to be blunt, a shame. So what can be gleaned from these two contrasting cases from the year 2016? The consistent inconsistency of the Academy in honoring the best films of the year, of course (some of which only got a paltry few nominations, notably Silence, the supreme work of art and grand acheivement in 2016), but also a certain measure of hope. If a singular artist such as Kenneth Lonergan, whose previous film Margaret is one of the most ambitious American films of the decade, can get within spitting distance of the Oscar stage (not to mention a truly groundbreaking work like Moonlight), then maybe there is a chance. There probably isn’t, but that’s a question for a different article.